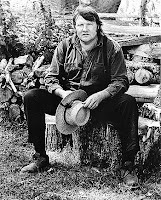 Poet and farmer Brian Brett delivers an inspired exploration of what it means to be a small farmer in modern day Canada. Having started his farming career twenty plus years ago in Salt Spring Island B.C., Brett certainly has loads of experience from which to draw upon. He rants about the challenges facing small farmers in the face of big agribusiness and gov't regulations, but he also muses about the beauty of farming and the intangible benefits of being so closely connected to the earth. It is a compelling mix of criticism and celebration. Brett presents an enjoyable mix of curmudgeonly humour with an artist's eye for detail, combined with a poet's way with language. This is a particular good reading suggestion for those readers interested in the local/slow food movement, as well as fans of natural history and the farm life. Brett has already won several literary prizes for this book, including the prestigious 2009 Writer's Trust Non-fiction Prize.